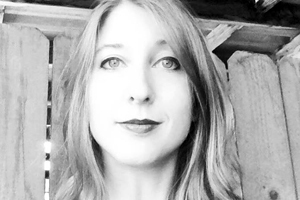 Catherine Kyle lives in Boise, where she works as an Instructor of English at the College of Western Idaho, helps run the Ghosts & Projectors poetry reading series, and teaches creative writing through The Cabin, a literary nonprofit. She is the author of the poetry chapbooks Gamer: A Role-Playing Poem (dancing girl press, 2015) and Flotsam (Etched Press, 2015), as well as the hybrid-genre collection Feral Domesticity (Robocup Press, 2014). She holds a Ph.D. in English from Western Michigan University.